It's easy to mistake celebrities as having it all, but behind the closed doors of those sprawling mansions, many of the world's most famous people are hiding ongoing battles with severe depression. As it turns out, a lifestyle of money and fame does not automatically shield one from mental illness, and in some cases, it even exacerbates the feelings of sadness, loneliness, and anxiety that contribute to depression. The 30 celebrities on this list are only a handful of those who have battled depression while living in the public eye. But by speaking out about their illnesses without shame, these famous people have shown that not only have they survived, they're determined to make mental illness a normal topic of conversation for anyone suffering — famous or otherwise. Whether you identify Kristen Bell by her voice, her commercials, or her foul-mouthed "Bad Moms" one-liners, one thing you probably don't identify her by is her serious battle with depression. In an interview on YouTube's Off-Camera Show, Bell revealed that she has long taken medication for her depression and anxiety. But you won't detect any shame in her confession. Bell's mother and grandmother both experienced the same serotonin imbalance, so the actress learned early on that there is no shame in seeking help and taking medication. In Bell's wise words, "You would never deny a diabetic his insulin, but for some reason when someone needs a serotonin inhibitor, they're immediately âcrazy' or something." Jim Carrey easily makes the short list of history's most influential comedians, but in an interview with 60 Minutes, the funnyman shocked a lot of people when he acknowledged he has spent much of his life dealing with depression. After the second of his two failed marriages, Carrey sought the help of a psychiatrist who prescribed him Prozac. Though Carrey admits the antidepressant helped him out of an initial jam, he also realized that he couldn't be one of those who stay on the drug forever. "I had to get off [Prozac] at a certain point," said Carrey. "You need to get out of bed every day and say that life is good. That's what I did, although at times it was very difficult for me." 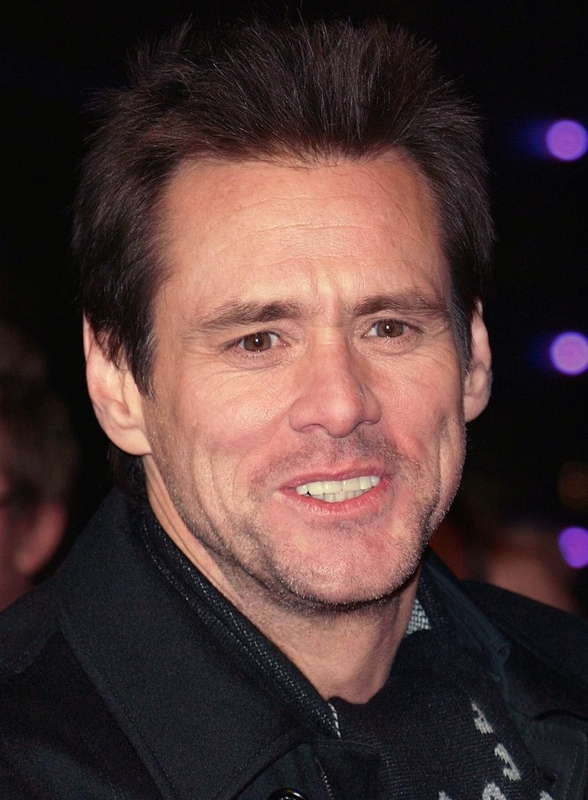 Carrey credits a healthy diet and natural supplements for his improved mental health. In 1998, shortly after she revealed that she was a lesbian, Ellen Degeneres's popular sitcom was axed. 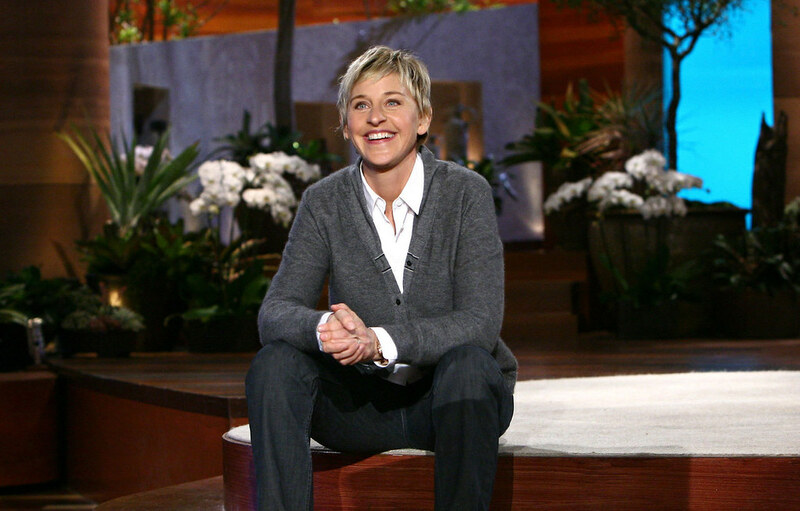 "Everything that I ever feared happened to me," Degeneres later recalled. "I lost my show. I've been attacked like hell. I went from making a lot of money on a sitcom to making no money. When I walked out of the studio after five years of working so hard, knowing I had been treated so disrespectfully for no other reason than I was gay, I just went into this deep, deep depression." But the comedienne persevered, continuing in the industry, and ultimately finding acceptance and happiness with an Emmy-winning talk show and an unforgettable turn as a fish with amnesia in Pixar's Finding Nemo franchise. Fame and money definitely does not buy happiness — just ask Cara Delevingne. The London-born beauty was barely past puberty when she became one of the most sought-after supermodels in the world. By age 15, Delevingne was rich and famous, but was also hit with a "massive wave of depression, anxiety, and self-hatred." An initial attempt at therapy and medication weren't helpful, and Delevingne turned instead to harmful behavior like partying and drugs. In an interview with Vogue, Delevingne said, "I was packing my bags, and suddenly I just wanted to end it. I had a way, and it was right there in front of me. And I was like, I need to decide whether I love myself as much as I love the idea of death." Amazingly, Delevingne credits the Outkast song "SpottieOttieDopaliscious" with pulling her out of her dark place. The song had played at the funeral of a close friend who had overdosed, and hearing it "felt like a warning from him." Delevingne is now able to control her depression, and has continued a successful career in film and print. Actor Johnny Depp may be a chameleon on screen, but watch him during any interview, and you'll see only a man whose facial expressions, droopy posture, and mumbled words give away what was once a big secret: Depp suffers from severe anxiety. Indeed, the actor's anxiety has been a major source of depression and unease, so much so that Depp has access to therapists at all times, even on film sets, who help advise him on how best to deal with his anxiety and keep it from dragging him into severe depression. In his memoir, The Way I Am, Eminem goes into detail about his battle with depression more than a decade ago. 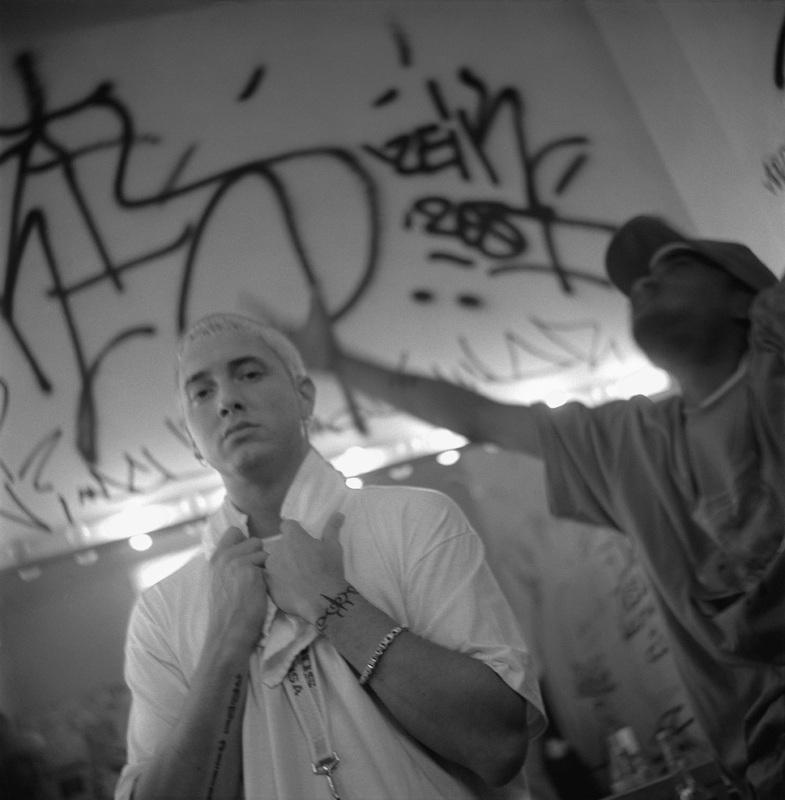 Though the rapper grew up through tough circumstances, in 2006 he found himself reeling after the murder of his close friend and D12 member Proof. His continuously rocky relationship with his ex-wife wasn't helping either. Eminem recalled, "I have never felt so much pain in my life. It was tough for me to even get out of bed and I had days when I couldn't walk, let alone write a rhyme." As Captain America, he may not be scared of much. But as himself, actor Chris Evans has dealt with depression stemming from his debilitating anxiety. In an interview, Evans described the feelings that overwhelm him in the spotlight: "A red carpet lasts, what, 30 minutes, tops? But that to me is like 30 minutes of walking on hot coals. It's not like a junket — junkets you sit in a room and they bring âem in. I can do that all day and not have a meltdown. But the premiere — that's overwhelming. It's the volume of it: You're in the center of this thing. You can fight a whole army if they line up one at a time. But if they surround you, you're f-ed." The actor famous for roles like Han Solo and Indiana Jones experienced feelings that fit the description of depression (though he's never actually used the word) during his childhood and college years. A very shy child, Ford was repeatedly beaten up by his peers for years. Even in college he didn't fit in, and as a result sunk into a slump that included sleeping long hours, missing classes, and struggling academically. Finally, he was expelled from school. Things didn't turn around for Ford until his junior year of college, when he signed up for a drama class and began the journey of overcoming his shyness. 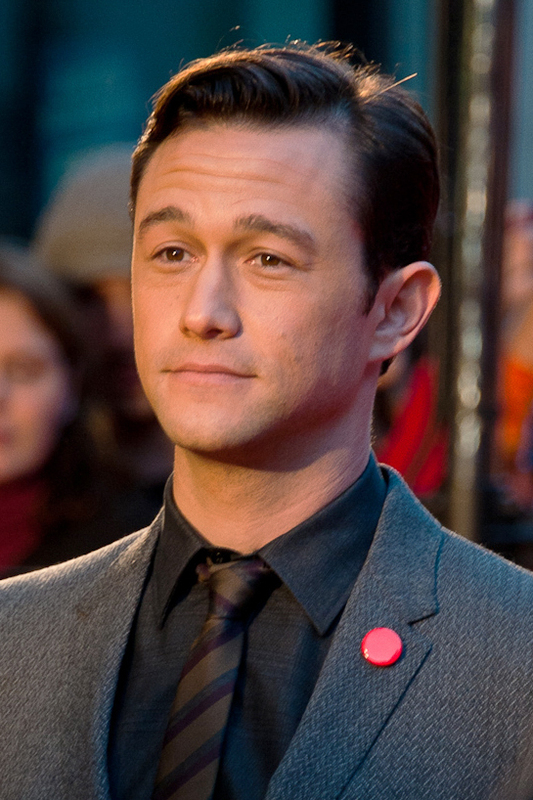 In 2001, after five years on the hit show 3rd Rock From the Sun, actor Joseph Gordon-Levitt left the show to focus on school. But almost immediately, the young actor fell into a deep depression, certain that his decision would ultimately be detrimental to his career. As he described to Details magazine, "I was scared and depressed for a while. Not that I had any reason to f-ing be depressed — I mean, I was going to college and everything. It was not like I was hungry." Still, the feelings remained, and it wasn't until Gordon-Levitt left school and returned to Hollywood that he was able to find the emotional balance he needed. Celebrated actor Jon Hamm experienced his first bout of chronic depression at age 20, shortly after losing his father (his mother had already passed from stomach cancer 10 years earlier). 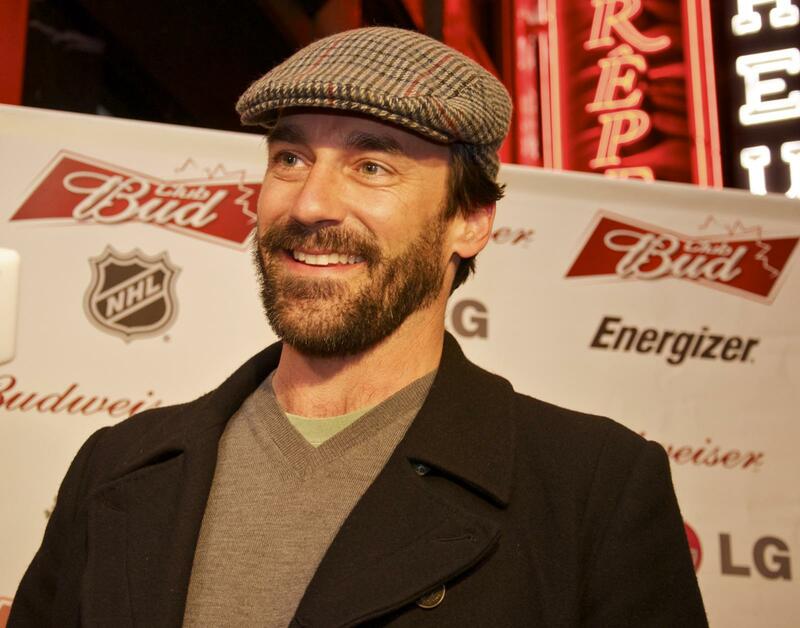 Though Hamm believes the structured environment of work and college helped with his recovery, he also credits antidepressants and therapy with "changing his brain chemistry enough to think: âI want to get up in the morning. I don't want to sleep until four in the afternoon.'" Though a decade letter, Hamm would find major fame as Mad Men's Don Draper, it seems the Emmy and Golden Globe winner continues to deal with his battles. In May 2015, he checked himself into a 30-day rehabilitation program in Connecticut. Anne Hathaway's success has hardly slowed down since age 19, when she first found fame in Disney's The Princess Diaries. But in a 2007 interview with Tatler magazine, Hathaway revealed that in the years before her big break, she suffered from depression and anxiety. During that time, Hathaway insists she was able to work through her anguish without assistance from medication. Thinking back to her troubled younger self, Hathaway has said, "I am sorry she was hurting for so long. It's all so negatively narcissistic to be so consumed with self." Before she was an Oscar winner, U.N. Goodwill Ambassador, writer, director, and mother of six, Angelina Jolie-Pitt was a seriously depressed teenager. Jolie-Pitt, who has always been very open about her bouts with mental illness, has even revealed that her depression included cutting herself and hiring a hit man to kill her. Though things improved for the actress after finding Hollywood success and becoming a mother, Jolie-Pitt found herself engulfed in another depression in 2007, after losing her mother to cancer. This time, she took another route back to good health, accepting the lead role in the action flick "Wanted" in order to do "something physical" and get out of her own head. Jolie-Pitt stated, "I felt I was going into a very dark place, and I wasn't capable of getting up in the morning, so I signed up for something that would force me to be active." Lady Gaga hasn't been shy about too many things, least of all her long battle with mental illness. In a candid interview with Billboard, the pop star admitted, "I've suffered through depression and anxiety my entire life. I just want these kids to know thatâ¦" But as you might guess, the "Born This Way" artist has beaten her depression, and has said, "I learned that my sadness never destroyed what was great about me. You just have to go back to that greatness, find that one little light that's left. I'm lucky I found one little glimmer stored away." Today, Lady Gaga works hard as an advocate for mental health. Her Born This Way Foundation seeks to empower youth, inspire bravery, and provide resources for young people dealing with depression, severe anxiety, and even bullying. Like his most famous character, Dr. Gregory House, Hugh Laurie has described himself as dark, brooding, and sarcastic. Even his good friend, actress Joely Richardson, has acknowledged that Laurie definitely has a "tortured" and "dark" side. Laurie may have inherited his depression from his mother, Patricia. The British actor's depression started as a teenager, though it wasn't until years later, after having an extra-marital affair, that he agreed to seek help and attend therapy. Laurie has found peace through his supportive family and his acting and music career. However, fans accusing him of being ungrateful have unfortunately caused him to become more hesitant to talk about his past issues and pain. 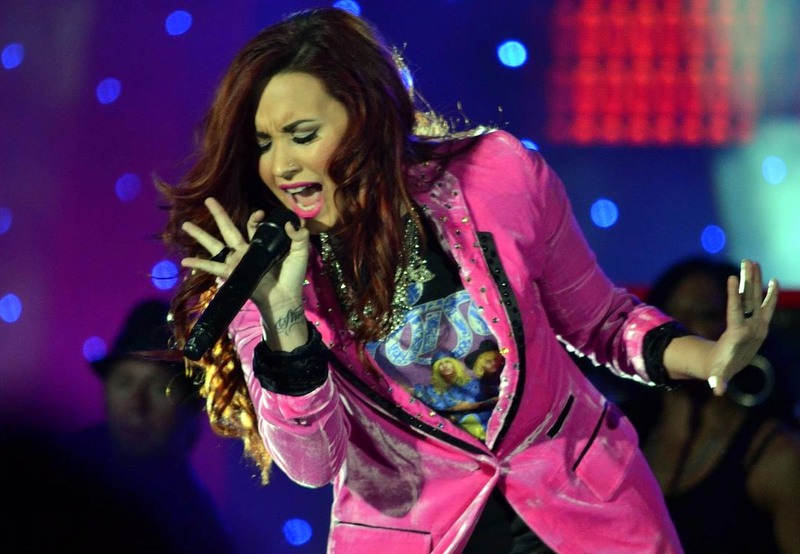 For a long time, actress and musician Demi Lovato didn't have a name for her manic energy shifts and rapid mood swings, but after checking herself into a treatment facility in 2010 for "emotional and physical issues," Lovato went public with her anorexia, bulimia, and bipolar disorder. "Looking back it all makes sense," she told People magazine. "There were times when I was so manic, I was writing seven songs in one night and I'd be up until 5:30 in the morning." Not only does Lovato have a new hit aptly titled "Confident," but the star has become a serious advocate for mental health by remaining very open about her bipolar disorder. After her daughter was born in 2004, Gwyneth Paltrow was fine, but two years later, after giving birth to her son, Paltrow felt "like a zombie." The actress didn't realize she was suffering from postpartum depression until it was suggested by her then-husband, Chris Martin of the band Coldplay. Paltrow has been very open about her bout with depression, describing on her popular blog how she was confronted with one of the darkest and most painfully debilitating chapters of her life. "I thought postpartum depression meant you were sobbing every single day and incapable of looking after a child," she said, "but there are different shades and depths of it." 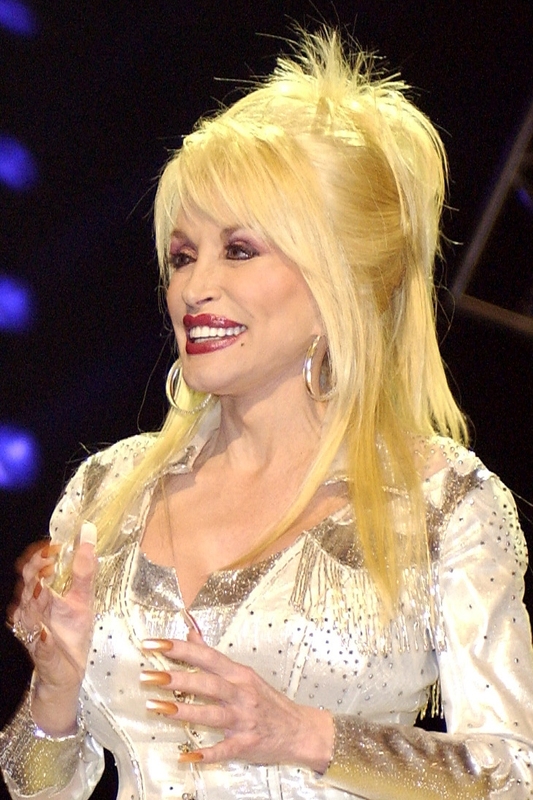 Dolly Parton, the queen of country music, suffered from severe depression throughout the 1980s, even going so far as to contemplate suicide. Parton has recalled, "It was an awful time for me. Every day I thought, âI wish I had the nerve to kill myself.'" Looking back, Parton believes that most of her depression stemmed from menopause and the regret that she had never had children. Fortunately, Parton found comfort in the children of those around her, saying, "Maybe God didn't want me to have kids so that everybody else's kids could be mine." For more than 10 years, actor Matthew Perry made viewers howl with laughter as Chandler Bing on the hit show Friends. But while we were all laughing, Perry was battling severe depression that ultimately led to debilitating addiction issues. Perry, who calls his time on Friends the worst and loneliest years of his life, spent the better part of a decade in and out of rehab for depression, drinking, and opiates. It was only when his costars began to catch on, and the media began reporting his troubles, that Perry says he finally began his slow path to recovery. Today, Perry is clean, the star of a "The Odd Couple" reboot on NBC, and an advocate who helps other Hollywood addicts deal with their issues. You may be surprised to hear that swimmer Michael Phelps, the most decorated Olympian of all time, went into the 2012 London games with "no self-confidence, no self-love." As he told NBC Dateline, "I think the biggest thing was, I thought of myself as just a swimmer, and nobody else." Phelps's depression even caused him to push people who were important to him out of his life. Phelps recalled, "I was in the lowest place I've ever been. Honestly, I sort of, at one point, I just, I felt like I didn't want to see another day. I felt like it should be over." Phelps turned to substance abuse, and was arrested twice for DUIs before realizing he needed help. In October 2014, Phelps checked himself into a rehab clinic. Though he reported that he cried himself to sleep for the first several nights, Phelps left the program clean and began preparing for the now historic 2016 Rio games. Phelps credits rehab, his fiancee, and his new baby son for helping with his emotional turnaround. Maybe it's not so surprising that actor Ryan Philippe, who admits to having dealt with depression since childhood, is best known for the tormented characters he has portrayed in films like Cruel Intentions. Though Philippe has called himself an innately sad person who wishes he can "un-feel" his feelings of depression, he also says, "I'm way funnier than people know me to be. And it's a dark humor, like a gallows humor. I think that's where, if you do carry any of that sadness or depression, your humor does tend to be a little darker than most people." In 2015, Philippe said he believes he has passed his depression to Ava, his 16-year old daughter with Reese Witherspoon. "I see it in my daughter," he told Elle Magazine. "She has it, and I wish to hell she didn't." 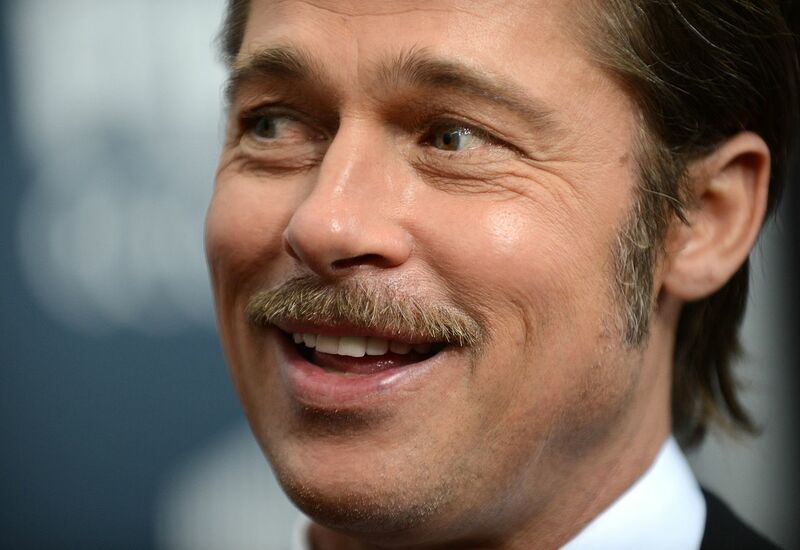 During the 1990s, Brad Pitt was rising to fame in films like Fight Club and Interview With a Vampire. At the same time, he was sinking into a deep depression that left him irritated, isolated, and drawn to heavy marijuana use. In an interview with The Hollywood Reporter, Pitt described his bout of depression as "one of the seasons or a semester." He explained: "This semester I was majoring in depression. I was doing the same thing every night and numbing myself to sleep, the same routine. Couldn't wait to get home and hide out. But that feeling of unease was growing and one night I just said, âThis is a waste.'" The ultimate feeling of unease finally came while on a trip to Casablanca, where realizations of extreme poverty shocked him into finally seeking help. Since then, Pitt has become one of the most recognizable names in the world, and he has been praised by various mental health organizations worldwide for his willingness to discuss his depression and lowest points. J.K. Rowling's life before Harry Potter is well known. Living in poverty, she was an unemployed single mother who spent her days writing in local cafes. But at the same time, she was also suffering from severe depression and battling suicidal thoughts. Shortly before beginning her famous series, Rowling even underwent cognitive behavior therapy in an attempt to improve her illness. Fortunately, Rowling is healthier and happier these days, but immortalized her bout with severe depression in Harry Potter. Her suicidal thoughts inspired the Dementors, terrifying creatures that feed off of the happiness of humans and wizards. In 2003, Brooke Shields revealed that she had experienced a deep postpartum depression after giving birth to her eldest daughter, Rowan. Shields was one of the first celebrities to speak openly about postpartum depression, and even documented her journey in a 2005 bestseller called Down Came the Rain. The actress and former model admitted she had felt completely disconnected from her baby, and that the shame and guilt she felt led her towards suicidal thoughts. Once she realized her feelings of despair were tied to a biochemical shift in her body, Shields was able to seek the help she needed and has been an advocate ever since. Says Shields, "Once we admit that postpartum is a serious medical condition, then the treatment becomes more available and socially acceptable." A famous internet meme shows Britney Spears circa 1997, complete with shaved head and a crazed look upon her face, swinging an umbrella towards the window of a car. The meme is used to allude to one's own stress: "If Britney Spears can survive 1997, I can survive [insert stressful event]." Humorous as the picture of a crazed Britney may be, the photo is just one image of a rough time for the pop star. Dealing with both a public divorce and postpartum depression, Spears sunk into what she called her natural state: severe depression, frayed nerves, and debilitating social anxiety. The pop star checked into rehab that same year, and began taking Prozac regularly for the first time since it had been first been prescribed to her at age 18. Spears credits her two sons, a handful of loyal friends, and her Vegas residency for the improvement in her mental health. In an interview with Vanity Fair, actor Channing Tatum described the depression that plagued him as a child. According to Tatum, his depression and pain stemmed from the fact he had been loaded up with drugs like Dexedrine and Adderall to help with learning disabilities like ADD and dyslexia. But instead of helping, Tatum describes feeling like a zombie: "It's like coke, or crystal meth. The more you do, the less it works. For a time, it would work well. Then it worked less and my pain was more. I would go through wild bouts of depression, horrible comedowns. I understand why kids kill themselves. I absolutely do." Tatum's emotional state improved so much when he stopped taking medication that he has passionately vowed he will never medicate his daughter, Everly. According to British actress and screenwriter Emma Thompson, depression is "fantastically common, and it's a very much hidden thing people don't talk about. I think it should be discussed." Thompson herself has confessed to suffering "occasional mild depression." Though she suffered her first bout after her divorce from Kenneth Branagh, she says she unfortunately did not see a therapist at the time. Only when she experienced additional despair, this time after a failed in vitro attempt for a second child, did the Oscar winner deal with her depression with therapy and antidepressants. Since then, Thompson has continued to work, though she takes occasional sabbaticals to deal with her lingering depression. Kerry Washington hasn't been shy about her past battle with depression. In an interview with Essence magazine, she disclosed that much of her college experience revolved around a depression that including an "abusive relationship with food and exercise." "I used food as a way to cope," she said. "It was my best friend." It was only when a dance teacher intervened that Washington began what would become years of therapy, and was finally able to end her routine of "eat, pass out, exercise for hours, feel guilty." More recently, Washington has worked closely with figures like Michelle Obama and Sarah Jessica Parker to call attention to the issue of depression, especially as it affects veterans. As she told Glamour magazine, "I think it's really important to take the stigma away from mental health." In 2007, comedy mega-star Owen Wilson shocked even his closest friends when he attempted suicide at his California home. Though People magazine reported only 11 weeks later that Wilson had been upset about his breakup with actress Kate Hudson and had since "bounced back," the actor took the opportunity to come clean about his years-long battle with depression and drug addiction. Wilson has since slowed his career to focus on his health, and credits antidepressants and his two young sons with keeping him grounded. Reese Witherspoon insists she is definitely not "America's Sweetheart," as she is so often labeled. The actress married and became a mother in her early 20s, only to go through a messy divorce in 2007. Witherspoon admits that she had to battle hard to keep dark thoughts at bay during that time, and credits close friends with helping to lift her out of her depression. "â¦[They] came over, stood me up, put me in the shower, put my clothes on, took my kids to school, brought me dinner." Fortunately, Witherspoon was eventually able to win her battle with depression, though it was not until her 30s that she discovered happiness and realized "You have to take responsibility for your own happiness." In 2011, less than a year after her husband Michael Douglas was diagnosed with throat cancer, actress Catherine Zeta-Jones checked herself into a Connecticut rehab facility and revealed that she suffers from bipolar II disorder. Unlike the better known bipolar I, bipolar II is often characterized by swings between depression and hypomania, often without the "up" of mania. After her release from rehab, the mother of two said, "I'm not the kind of person who likes to shout out my personal issues from the rooftops, but with my bipolar becoming public, I hope fellow sufferers will know it is completely controllable. I hope I can help remove any stigma attached to it, and that those who don't have it under control will seek help with all that is available to treat it."